Often overlooked by Kierkegaard scholars, On the Concept of Irony—Kierkegaard’s dissertation—is in fact a foundational text that established some of Kierkegaard’s most important ideas on the self. In The Isolated Self, K. Brian Soderquist restores this important work to its proper place, offering a rare full-length study of the text that shows how and why Kierkegaard would return to the ideas he developed there throughout his entire career. Thoroughly examining On the Concept of Irony, Soderquist uncovers the most comprehensive account of the “double movement” that is so important in Kierkegaard’s later works. Hinging on irony, the double movement describes the way existence pushes us to move from an immediate, unreflective life toward a self-developed worldview. Soderquist bores into this notion of irony, reconstructing the way it was conceived in Kierkegaard’s time by analyzing its use by related thinkers such as Hegel, Friedrich Schlegel, Johan Ludvig Heiberg, Hans Lassen Martensen, and Poul Martin Møller. 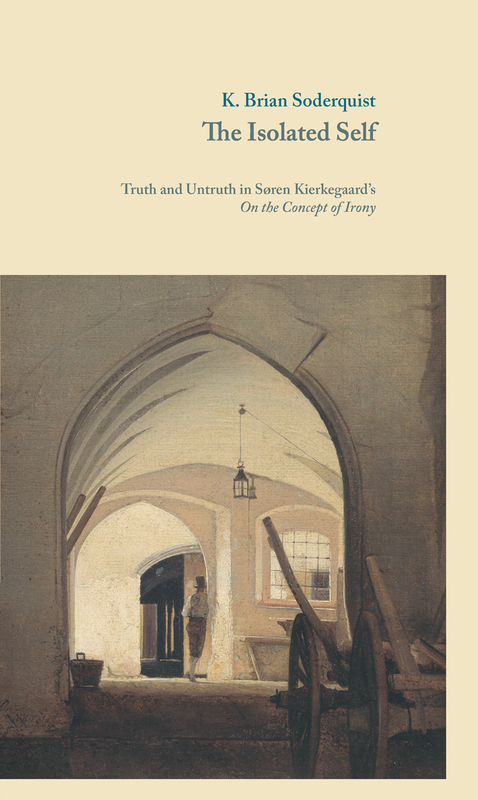 Altogether Soderquist shows how Kierkegaard’s concept of irony, as demonstrated in this very early work, is crucial to understanding his pivotal thoughts on selfhood. Introduction: What is Irony in On the Concept of Irony?